Bro. Arvin Arica at Amoranto Stadium, Quezon City, Phils., Sept. 2011. By the amazing grace of our mighty God, Minister of Mercy is celebrating its 1st anniversary! Halleluiah! And to commemorate the occasion, I’m posting this wonderful testimony about God’s deliverance and healing. Brother Arvin Arica received the Lord Jesus Christ as his Lord and Savior in Catarman, Northern Samar in 2001. Before this, he was wasting away his life by daily dose of liquor and smoking 4 packs or more of cigarettes. He testifies that he couldn’t go through a day without indulging in his vices. He also used to suffer from arthritis, asthma, and insomnia. For many years, these three diseases made him suffer greatly. But all these were taken away by the Lord Jesus and he was completely healed of them. He also forsook all his vices and his life was totally changed. He found the peace that he had been looking. But on the same year, aside from his healing and new life, Bro. Arvin would further see the wondrous and mighty acts of God. Later after he was saved, he was accidentally electrocuted by 33,000 volts and he died on-the-spot. This happened in Tacloban, Leyte. His head, hands, stomach, and legs were badly burned. There was a big hole in his stomach that looked like it has been shot by a shotgun caused by the massive electric current that coursed through his body. He testifies that upon his death, he went to heaven and he saw the Lord Jesus Christ. He fell on his knees before the Lord and asked His forgiveness. Weeping, he begged the Lord to let him go back. In response, the Lord squeezed his heart and he wept the more. But he pleaded with Him, reasoning out that his death would not give glory to God considering that his loved ones were still unsaved. And the Lord Jesus had mercy upon him and He let him go back. One doctor started questioning him to ascertain his mental state. The doctor said that a person who has been massively electrocuted and died for several minutes often sustains brain damage. But Bro. Arvin was able to answer all the questions correctly proving that he was mentally well. The doctors couldn’t help saying that it was a miracle that he was alive. He was given medicines but he refused to take them, declaring that God alone would heal him, and he fasted instead. The doctors were exasperated at this so they made him sign a waiver. After only three days in the hospital, and in which he also spent fasting, he was discharged. He left the hospital unable to walk. While he recuperated at home in a wheelchair, unable to move his legs and hands, he prayed and wept to the Lord, begging Him to heal him and make him stand and walk again. After two weeks, he received answer to his prayers and he regained the use of his legs. Everyday, he washed and cleaned his open wounds with only water and alcohol, and covered them with fresh bandage. Looking at him suffer from his wounds, Bro. Arvin’s father told him that if he were the one in his place, he would rather die. But Bro. Arvin continued to humble himself before the Lord and completely trust in Him, praying and crying out to Him to heal his wounds. A sister-in-Christ advised him to pour coconut oil into his wounds and he did. One Sunday afternoon while walking home after attending worship service, he felt stinging pain in his wounds. When he looked, maggots had swarmed his wounds and they were eating up his flesh. He wept helplessly and wanted to run to escape all the suffering, but he couldn’t, for he had not fully recovered his strength. He bravely poured alcohol liberally into his wounds while shouting praises to God, and the maggots were killed by it, and he picked them one by one. His mother advised him to bathe in the sea so that his wounds would dry up, and he did. But afterwards, sand filled his wounds and it took two months to completely remove it. In all his suffering, Bro. 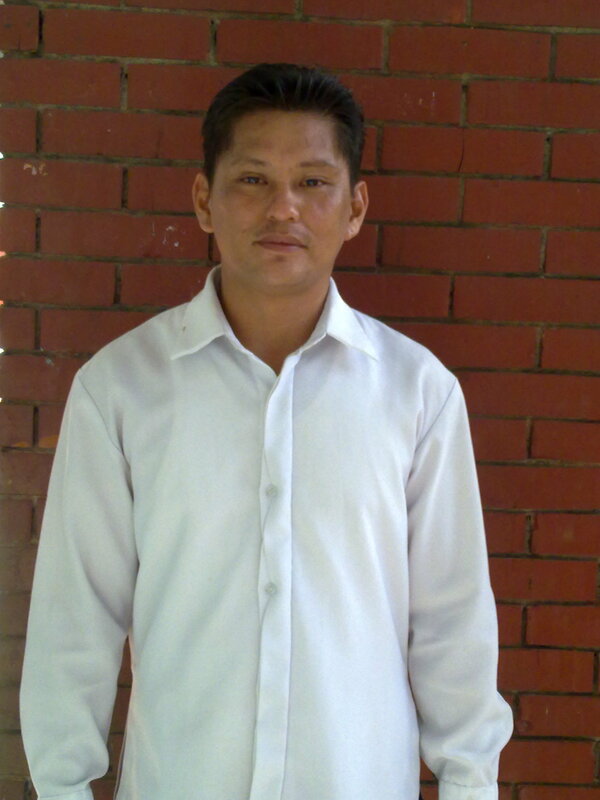 Arvin remained faithful to the Lord, praying, fasting, praising, and attending worship services regularly. He believed and completely trusted that the Lord Jesus would turn his suffering into rejoicing and a glorious testimony of God’s power and great mercy. After 7 months, Bro. Arvin received total healing of his wounds and complete recovery of his strength, and God blessed him with a good job that he had desired and fervently prayed for.